On 20 April 2017, the Kurdistan Human Rights Association released a statement regarding the mass execution of Kurds and other members of national minorities by the Iranian regime in 2016. According to the human rights organisation, the individuals sentenced to death were subjected to torture, and were not given a chance to defend themselves during the trials which lasted not more than 15 minutes. In 2016, Iran had executed at least 530 people. The Kurdistan Human Rights Association said the government of Iran had executed 30 people in 2016 for political and security reasons, 27 of them Kurds. The human rights group released a statement on Thursday (April 20) stating that 27 of the 30 people executed by Iran due to state-claimed political or security reasons were members of banned Kurdish parties. The other three were Ahwaz Arabs, the organization added. 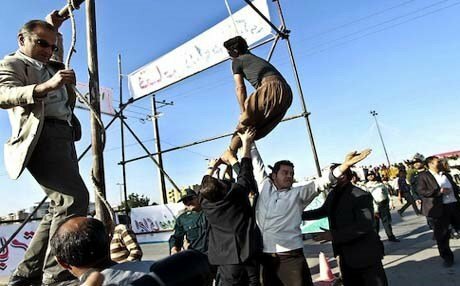 The Kurdistan Human Rights Association said at least 530 people were executed by Iran’s authorities in 2016. According to Amnesty, China, Iran and Iraq are the top countries to carry out executions, issuing death sentences after “unfair trials”. The organization also said authorities in some countries, including Iran, use the death penalty to punish political opponents. According to Amnesty’s statistics, Iran carried out 997 executions in the state’s prisons in 2015, of which 393 of the executed were Kurds.